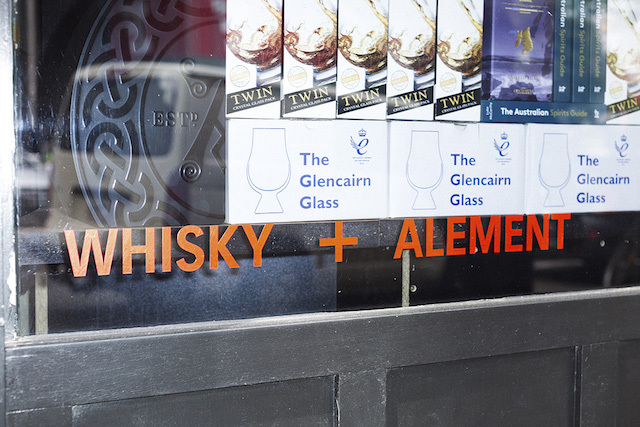 So give us a little timeline on this here whisky bar, what was here before you? Chez Regina as I’ve read, it used to be a Greek nightclub, we bought it seven years ago. Yep, with a weird licence. 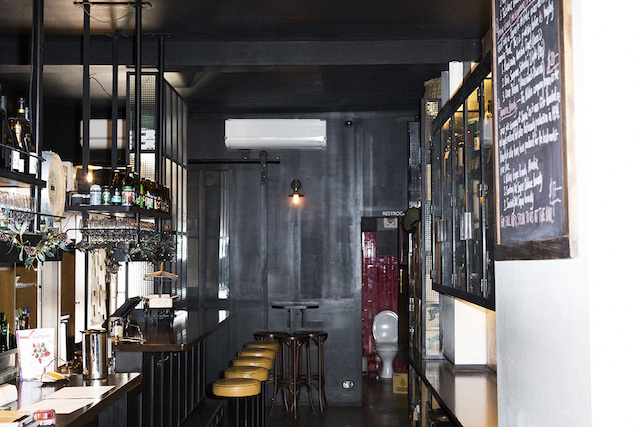 [laughs] It was A pub before that, then Melbourne’s first French restaurant, I believe; we had the little guy come in here and give us the gist. So then you took it over and it became the bar for the city’s bartenders to drink amazing whisky during the early hours of the morning after work. That’s because we had a 5 am licence (which is very rare) we could serve the bar folk. I think a lot of people are forever in your debt for your generosity for that business move. So thank you. Do you still trade till 5 am? Yeah, f**k that. So you amended your liquor licence? Yeah, we’ve got a takeaway licence now, single malt only. We hold a lot of stuff that nobody else can get a hold of, we also pour our own stuff as well. We’re expanding the bottle shop next year and we should have three hundred single malts to take away. So when did you get into whisky? So obviously, there was Chez Regime, and then there was this curiosity of where do we go next? What do we want to do? We can’t keep doing these 5am-ers, that kind of thing. Just the two of us working in here, so… we had that point where we started getting curious about whisky, we wanted to do something with whisky and loved the history of the land and I didn’t know why a generation didn’t drink it. So we had a good price point in the bar and thought why? Why can’t people drink affordable whisky and taste it? So, that’s where we decided to start with a couple of whiskies and then it was Boxing Day. I was driving back from Warrnambool and Jules was in Melbourne, I got a phone call from a radio station in Sydney saying “We want to go live in an hour, can you do it? Can we talk about whisky?” And I was like, “I don’t know anything about whisky? !” I was just like… I like whisky! Then he [jules] had the Australian call him and say “We want to do a thing on whisky”, so I don’t know what had happened to trigger all this here. I came back to Melbourne and didn’t realise that he had a friend in here, taking photos of a model wearing a leopard skin top drinking whisky, I was not impressed. [laughs] Yeah. Anyway, the next day the 27th we were in the Australian’s second page, full page article “Brooke and Julian say whisky is on the rise” and that’s when we went let’s travel, learn about this stuff and bring it to the masses. Let’s get our generation drinking whisky. That was early 2013. So do you know what your stock holding is in terms of number of bottles at the moment? 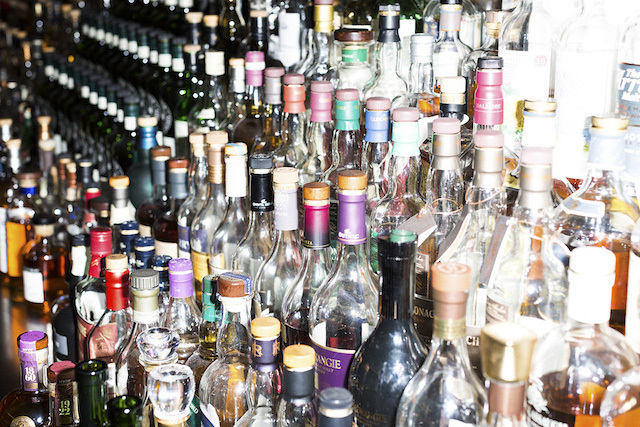 We have about 750 on the back bar at the moment. We’re going to curate upstairs really well, add more bottles to the selection up there, so, we’re looking at probably a thousand bottles upstairs different to down here but we’ll only put three hundred on the menu at a time. So we’re going to really curate collections and tell the story through the menu. I want to know some secrets about Whisky and Alement. Is it a good tinder date? Ah! Did you start that rumour? I ask everyone this question! [Laughs} it was about six months ago we had a guy come in and show us a website’s story reading “Best Tinder Date Joints” and we were number one! I was like, what? That’s damaging. How many people could you ram in here? We’ve got a licence for ninety and we do get ninety in here sometimes. 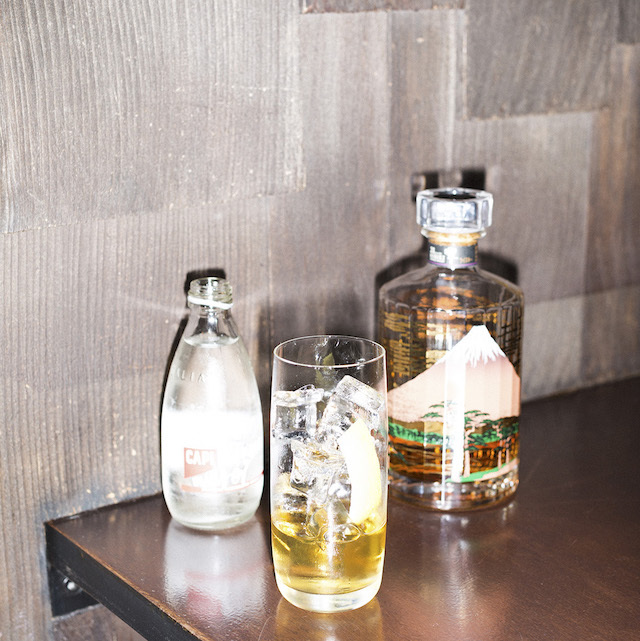 We reached the goal – we wanted to make it comfortable when we refitted We want it to be like a whisky café, so people come in, have a couple of whiskies and nick off. 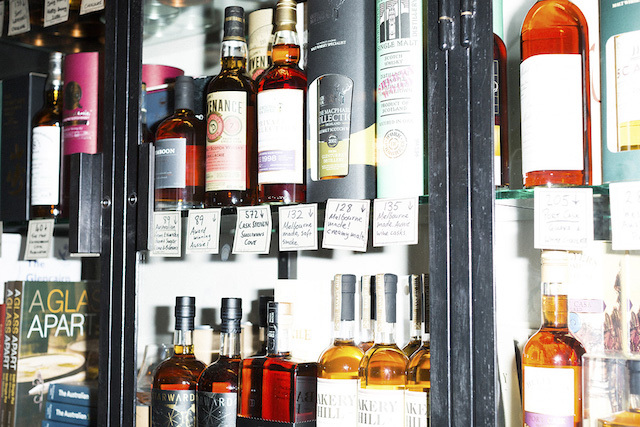 What’s the wildest whisky you have on shelf at the moment? The Single Malt from Milk & Honey Distillery in Israel. I want to go it tastes so good. Look, to be honest, some of the Japanese stuff that we got recently… we actually tipped about ten bottles down the sink. It was early stuff, like 1970 Suntori Whiskies. It’s a bit of a fad at the moment A lot of historical bottling have come out, they’ll find a whisky that’s in a ship that’s, you know, sunk, and they buy it for five grand at auction and then taste it, and it tastes like sea water! I’ve just bought nothing! F**k! Brooke thank you, we’ve learnt a lot.